Congrats to Jimmy Wicks of Toronto for making 634whp on pump gas (94 octane) with a Cartuning turbo kit/solution!! 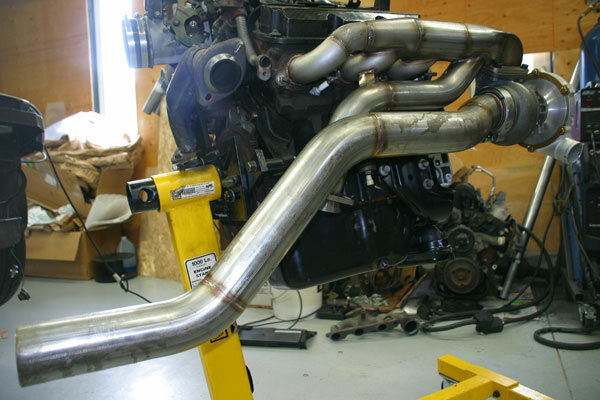 Contact a Cartuning rep about a turn-key package like Jimmy's including race-ready built engine, transmission, turbo kit, and tune ready to run for your W-body vehicle. We can ship a complete paletted powertrain. Cartuning is about to unveil its monster V6 turbo kit for the F-body Firebird/Camaro... 62mm billet turbo with full custom headers/manifolds coming very soon! Congratulations to Jordan B on his 6-speed manual Grand Prix conversion by Cartuning. The Tilton triple disc clutch and upgraded F40 transmission will help deliver his 600+ Cartuning turbocharged horses to the road. Pictures of the conversion coming soon! Mark K beats his own time maintaining the "Worlds Fastest LS4 Car" title with these 2 runs at the Michigan Grudge Match 2009! With a loose track, we're sure 10's are just around the corner! Cartuning Performance Launches a brand new website to reflect it's full product lineup! Browse through all the site has to offer and watch out for www.turboescalade.com coming very soon to an interweb near you! Congrats to Mark K from MI! His 06 Monte SS just ran 11.60's @122MPH with a Cartuning Performance LS4 turbo kit on a mostly stock car/engine!